If French fries and chocolate are among your favorite foods, this could be the moment you've long awaited. 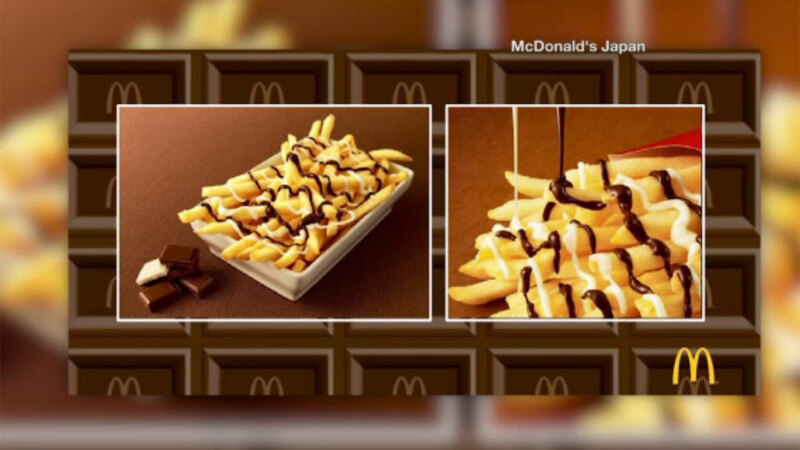 McDonald's has concocted a new savory-sweet dessert that may have you salivating -- the McChoco Potato. The fast food chain is now serving America's favorite fries with a drizzle of milk and white chocolate sauce drizzled on top. McDonald's describes the dessert as "a wonderfully salty and sweet harmonious taste." There is one catch. The new menu item is available only in Japan, and it'll be served for only a limited time beginning January 26.